“Jolly old soul.” Bahhh Humbug. These days, the world could benefit if America’s favorite holiday icon was trim enough to sport some lycra. With childhood obesity considered to be at epidemic levels, do we really need a “jolly old soul” who is overweight and probably very out of shape? Would we think a little differently about fitness throughout the year if we new that Santa was planning to give the reindeer a break and ride a bike for next year’s delivery instead of his sled? Clearly he have to consider if shaking like a bowl full if jelly is still the right image to portray to our children. But it is also a lot more personal than that for the boss. Even though he is immortal, heart attacks still hurt like hot cocoa in the lap. And Santa’s cholesterol numbers have been through the roof lately. Santa is keenly aware of environmental pressures as well. His own reindeer have been talking to him about the decline of their brethren. Across the globe, reindeer numbers are falling, and some fear the iconic image of Santa’s sleigh may not represent the best image for reindeer preservation. Health. Transportation. Yup – even Santa faces our everyday problems. And both are fantastic reasons for Santa to turn to a bicycle. This Christmas season as been abuzz with winter riding tips – for climates both mild and extreme. While some areas face epic winter conditions, cycling continues to present itself as a viable transportation option in almost every part of the world. There is no reason the North Pole shouldn’t count itself in that catergory. Let’s face it – aside from pro cyclists, Santa may just have the perfect job for a bicycle lifestyle. Many of us struggle to balance family and work with our personal performance goals – goals that take time and training to achieve. Santa’s schedule provides some distinct advantages in that area. 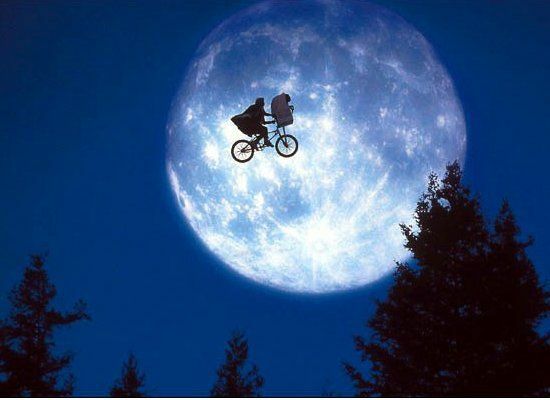 With an entire year to train before next year, one can easily imagine Santa taking a cue from E.T. and leaving the Sleigh behind next year. It would be a huge step. Many children have dreamed of the possibility of taking a ride in Santa’s sleigh. However, if Santa’s transportation was actually a bicycle, kids wouldn’t have to dream. Instead, they could go out and ride. Put down the XBox controllers. Send one last text message to the buddies that says “Going out for a ride.” Get off the couch and pedal. It is a gift Santa could deliver without need of wrapping paper, and it would last the whole year long. Note: rumors of a secret velodrome being built at the workshop could not be confirmed by the time of publication.